Read for FREE here through July 4, 2016! Communication via infinite awareness has profound implications on all of life. Although the content of spiritual teachings often gets taken out of context it still has purpose in consciousness. Allowing the ego to dissolve is truth. Having compassion and practicing discernment, instead of judgement, helps one on the quest of inquiry and realization. What a wonderful world this would be if we all worked for each other rather than against one another. Regardless your world can still be complete void of nothing because reality is void of causality. Hello, my name is Kevin Kerr and I live a holistic vegan lifestyle. My goal in writing is to inspire people to live more peaceful fulfilling lives. My e-books all encourage people to reconnect with nature because the earth provides for us everything that we need to thrive. Also, I enjoy writing guides for organic gardening as well as raw vegan recipes. I love what I write about! Life is too precious. Why waste it in misery and pain? Let’s live it to the maximum. Expect Big Changes, if you carefully read and follow this Guidebook. 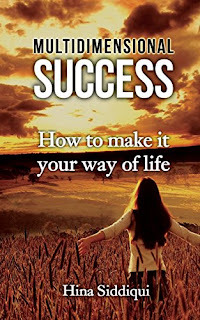 In this Quick Read, you will learn how to attain real happiness & success in all domains of Life. 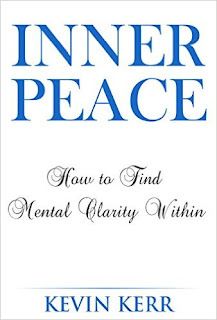 This guide will help you transform in a positive way so that you could translate your life into a meaningful journey filled with true delight & peace. Hina Siddiqui is a personality with diverse passions and interests. She is an expert on personal development and growth. She is a writer, French Language Professional and Communications and Success Coach. After having worked for more than a decade in the corporate industry in various positions, she ultimately found her true passion in writing and coaching. She strongly emphasizes on constantly improving the quality of life. Her mission is to help people reach their maximum potential while living a happy and stress-free life. She aims to share the techniques that have worked for her with the others who want to live a healthy, blissful and complete life. to be entered into the drawing for Demitrij's new book! Entry available to everyone around the globe. 2 Books will be given away! Piaffe, Passage and Work in Hand! Would you like Demitrij to evaluate your piaffe? Demitrij will suggest work to correct and help you along the way! The new FEI rules regarding Piaffe and Passage lay greater weight on these movements as well as transitions between the two, so it is of utmost importance to perform them well. Leave a comment below to be entered into a drawing for a free copy of Piaffe, Passage and Work in Hand by Mitja Demitrij Cernac. This is a book that is drawn on over forty years of experience and is solely dedicated to explaining the difficult Grand Prix dressage movements of Piaffe, Passage and Work in Hand. On almost one hundred pages this book explains comprehensively the several possible approaches to Piaffe and Passage. Piaffe, Passage and Work in Hand guides you on what is correct, how to begin so the horse will be capable of understanding and thus performs correctly. It shows the causes of common faults and training deficiencies, how to avoid or once done, how to correct them. The main object is the correct approach through the understanding of bio-mechanics as well as physics (dynamical weight distribution). It is explained how the systematic work from beginning on Hand through Piaffe to all different transitions in Piaffe and Passage leads to success. 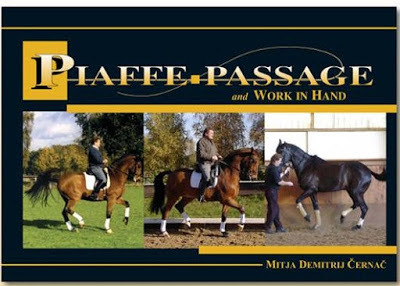 Piaffe, Passage and Work in Hand was first published in 2002 in Germany and because of the feedback from my fellow trainers, international and national dressage riders, I decided to publish this book in English and therefore make it available to a larger dressage audience. I added more text as well as more pictures and graphics for a better understanding. From the United Kingdom, Gill Kapadia is a successful Equestrian Writer as well as a Freelance Photo Journalist, showcasing her beautiful photos in magazines such as Horse and Hound, Macclesfield Express, and Chapter 5 Magazine, to name a few. A member of the British Equestrian Writers Association, Gill has experience in all aspects of print and broadcast media. GM: As a photojournalist, what has been your most exciting assignment to date? GK: I travelled around India for a year on a series of commissions for travel magazines and it was a truly amazing experience. I worked with a documentary maker who was making a film about the nomadic people of the Himalayas and we trekked for days up into the mountains, taking film footage and photographs and learning about their way of life. The landscapes and the people were truly awe inspiring. The icing on the cake was living on a houseboat on Dal Lake in Srinagar, Kashmir. It is one of the most beautiful places I have ever visited and I would love to go back one day with my children so they can see for themselves why I fell in love with it! GM: As a horse-lover, what horse topic do you enjoy writing? GK: I am lucky to be a showing correspondent for Horse and Hound magazine. I love attending the big shows with their busy atmosphere and ringside attractions and meeting the people and their horses and hearing all the stories behind the successes! Many outsiders think the showing discipline is an equestrian soft option, but it really isn`t! I have been amazed by the lengths some people have had to go to get their highly strung superstars to behave on that all important big occasion. One producer was forced to stand with one of his horses in a tractor shed, with the said machine going full throttle with lights flashing and siren blaring! The pony had had, until this point, a complete noise phobia but went on to stand supreme champion at the British Show Pony Society Championship show; the final was held in a giant marquee with music and spotlights! The pony stood like a rock. GM: You have a great history with horses. Do you have a horse anecdote to share? GK: My parents were not horsey in any way but after years of me nagging, they finally gave in and bought me a lovely little welsh pony called Bubbles. I had years of fun going to pony club and local riding club shows, where I met friends who I still have to this day. When our children were born, I wanted them to have ponies too because I think it is a wonderful lifestyle and teaches us the importance of being responsible for the well-being of another creature. 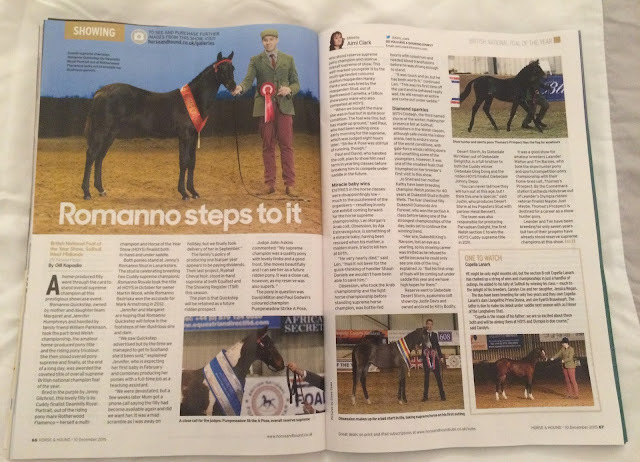 It turned out that my children were a lot more talented than me and they all were fortunate to win their classes at the Horse of the Year Show in 2006; watching them come down the centre line at that incredible event was the proudest moment of my life. GK: I am toying with the idea of writing my first novel but it may have to wait until the winter when we are less busy with our ponies. 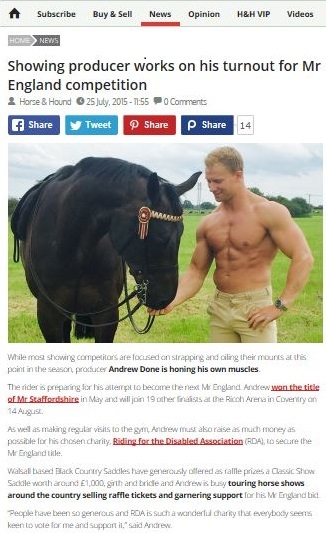 I am working for Horse and Hound as a showing correspondent and writing copy on all manner of topics for my various clients. GK: The Horse Dancer by Jojo Moyes. Moving and poignant story about the love between a girl and her horse, and her grandfather who had once been a member of the Cadre Noir. GM: In all the world, where have you been? GK: I was a bit of a travel junkie and liked nothing better to escape with my rucksack and a one-way plane/train/boat ticket!! I have travelled all over Europe and North Africa as well as Turkey. I spent many happy months in India, Nepal and Ladakh. My husband and I went to Thailand for our honeymoon and spent three weeks trekking and white water rafting. He wasn`t at all sure about the whole back-packing malarkey before we went but was a complete convert by the time we had finished! I would love to visit Tibet and South America, particularly Peru and Machu Picchu. GM: Have you written about your travels? GK: I have written and produced broadcast pieces about my travels. My favourite was doing a radio piece for the BBC about the island of Kerkennah, off the coast of Tunisia. We borrowed two beautiful Arab horses and went galloping through the sea. I couldn`t get the sound effects on board the horse as I was worried about getting the equipment wet so after we had finished our ride, I made my husband leap around in the water pretending to be a horse so I could record him! I also managed to record a camel roaring at very close range which sounded brilliant when we played it back in the studio! I think the other guests thought I was bit mad, but that goes with the territory! GK: To me, horsemanship means working to achieve harmony between horse and rider in whatever discipline we choose to follow. I watched Charlotte Dujardin and Valegro at the 2012 London Olympics and I was bowled over by the lightness and sympathy of her riding. 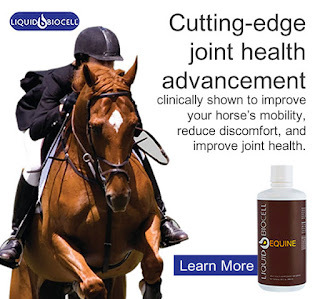 Liquid BioCell™ Equine is the cutting-edge, veterinarian-approved nutraceutical designed to meet the demanding needs of athletic performance and complete joint support for horses of all breeds. Exclusively formulated with Liquid BioCell™, clinically shown to improve mobility, reduce discomfort, and improve joint health, while promoting healthy skin and a shiny coat. Our Bio-Optimized™ manufacturing process produces molecules that your horse's body can actually absorb. That's why Liquid BioCell™ has been awarded 7 patents and multiple industry awards, including "Best Bone and Joint Health Ingredient" by Frost and Sullivan. The advanced, fast-acting, liquid delivery system is highly effective in maintaining the structure, function and flexibility of your horse's joints, tendons and ligaments, while easing discomfort associated with both normal daily exercise and high-performance competition. Joint problems can affect any horse, no matter how much care he's had over his lifetime. As your horse ages, so do his joints; their contents diminish leading to degeneration of the cartilage and chronic joint problems, and although horses do not complain, the condition worsens without treatment. Liquid BioCell™ is clinically shown to help restore the joints, improve joint mobility and lubrication, reduce discomfort, and promote healthy cartilage and connective tissue. Liquid BioCell™ is a new generation of super ingredients. Our Bio-Optimized™ manufacturing process produces molecules that your horse’s body can effectively absorb, and its patented matrix of hydrolyzed collagen type II, hyaluronic acid, and chondroitin sulfate mirror the joint’s natural composition so the body readily accepts it. A breakthrough so advanced, Liquid BioCell™ is a clinically substantiated nutraceutical for horses of all breeds. 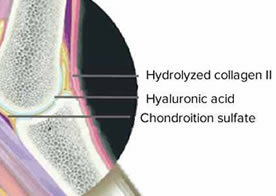 Skin and coat: The HA and collagen of Liquid BioCell™ can help nourish and hydrate the dermal layers of your horse's skin and aid in keratin production for a healthy, shiny coat. Eyes: Vitreous humor, the fluid in the eye, can break down due to aging or eye injury. HA is often used for possible restoration. Liquid BioCell™ elevates HA levels in the bloodstream after intake, potentially aiding in the health of eyes. Gums: Gums are integral to tooth health. Liquid BioCell's unique form of collagen and HA can help support the gingival fibers that attach the teeth. 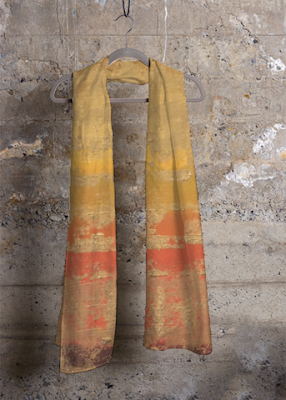 Jimmy Clark, Jr., a self-taught, emerging, Landscape and Abstract Artist whose art work is now being produced and sold on shopvida.com, a lifestyle company that promotes sustainability and connects artists with clothing makers from around the world. 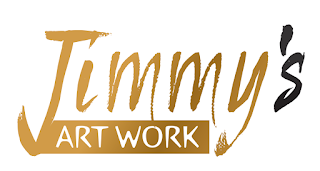 Jimmy's art will be showcased on VIDA Voices. You and all of Jimmy's customers will receive a $20 VIDA Gift Card. Any of these codes are good for $20 off. and they expire on June 28th. Get $15 off with a purchase of $100 or more! His source of inspiration comes from memories of nature, water, ideas and life experiences. Jimmy has been experimenting with abstraction to express more of his Impressionist art abilities. His acrylic works are inspired by the serenity, calmness of nature and life's journey. 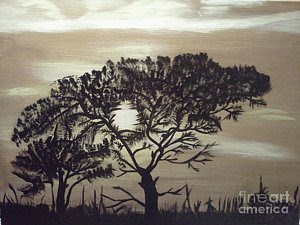 When he paints, he is reminded of his blessings from God and his beautiful creations. He attempts to capture uniqueness and originality on canvas using colorful brush strokes. He wants to present every piece with a breath of life to inspire people. Jimmy’s Art Work the Book Available in Paperback and Hardcover! Kentucky author, Robbie Robbins aka "No Sweat," former Estill County resident, 1969 graduate from Irvine High School and former Eastern Kentucky University's "Electrifying Eel" for coach Don Combs, BA, MA graduate from Eastern Kentucky University, now residing in Richmond, has recently signed a new contract with Rudy Thomas, editor and publisher of Old Seventy Creek Press for the rights to his 1,000 page memoir based in southern Florida, Singer Island & Ernest Hemingway now available through Old Seventy Creek Press; the work is to appear in a two-book volume set. “This is my third book to find print and I could not be more elated," stated No Sweat. "I began this project thirty-one years ago when I promised Luisa Lang I would try to accomplish what she was asking of me. Luisa was Will Lang's daughter. Will was the best WW2 war correspondent who worked for LIFE magazine and a close friend of Ernie Pyle and Ernest Hemingway. It was Will Lang who introduced his old girlfriend, Mary Welsh, to Hemingway during WW2. Mary later became Hemingway's fourth and final wife. Luisa's father died of a heart attack in her arms while they were skiing in Switzerland. He had been working non-stop on a novel for six years when he suddenly died. In June, 1985, while I was living on Singer Island, Luisa asked me if I would finish Will's book. At first I declined. I was working on another book at the time and I could not see me taking on both projects. Eventually, I agreed. Two years later, I was alone with Luisa when she committed suicide. It was a moment I can never forget and one I describe in this new book. When my first two books, These Precious Days and Nefarious finally found two different publishers in 2012, I knew then I had to go back to where I had stopped on the Lang project and fulfill my promise to Luisa. I've been devoted to that proposition ever since." No Sweat is married to Chesteen, valedictorian of Irvine High School '68 and retired Estill County Middle School principal; they were the third couple to marry in the Eastern Kentucky University Chapel, January 6, 1973. They have one daughter, Nancy, and two grandsons, Lance and Barrett. 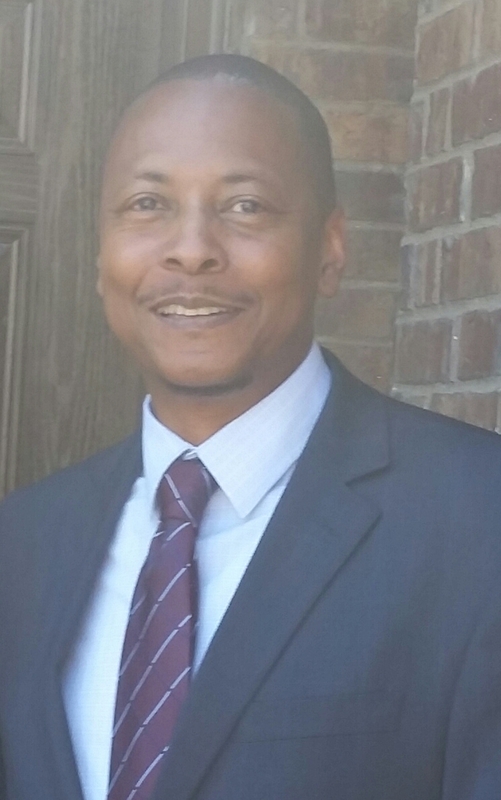 No Sweat has been the evening site supervisor for The Hope Center in Lexington and also the logistics officer for the CSEEP program with the The Bluegrass Army Depot. For the past twelve years, he has been working for Eastern Kentucky University and hopes to retire by the time he is 70. His plans include devoting himself to finishing some dozen other books he has completed which need additional polishing. His next book, Letters from A Genius to an Oaf, is a work involving his life with his writing mentor, Guy Davenport, recipient of The John D. MacArthur Genius Award. Besides writing goals, No Sweat plans to run his boat, "NANCY LOU," from Key West to Cuba and visit Hemingway's favorite home. He hopes to keep a log of this journey and possibly develop it into a book as well. “Singer Island & Ernest Hemingway is unlike my first two books as they were novels set in eastern Kentucky,” informed No Sweat. “This new book is a true story set on Singer Island, Florida, an island once part of Palm Beach many years ago before the Palm Beach Inlet was developed. Chesteen and I lived at The Colonnades Beach Hotel which was once located on Singer Island for three months every summer and in the process made friends with many interesting people who visited or stayed there including members of the Kennedy family, Arlo Gunthrie, John D. MacArthur, Jacques Piccard and others. The core of the six-part book is a journal I kept while staying there. Much of the text involves my family and close friends. In the way I have organized the contents one is likely never to see another book of this nature. A large part of the work involves Ernest Hemingway. I am releasing information about his life which has never been seen before. Luisa and her father knew Ernest Hemingway quite well. They lived with him in Spain. And when I was with Luisa she constantly talked about her father and Hemingway. When she died her mother gave me several Hemingway letters. All of them now are in the JFK Library or in the archives at The University of Maryland." No Sweat was very pleased when The Joseph-Beth Bookstore chain judging committee decided to carry his books and in the process asked him to be their featured author and discuss his work. He has also been the featured author discussing his writings at Berea college and several times at The Kentucky Academy of Sciences. In the past year he established a working relationship with another author, Gina McKnight, who has used several of his stories on her blog, Riding & Writing. One of No Sweat's stories on the blog, The Long Blue Line, involves a day No Sweat spent with Joe B. Hall at The Keeneland thoroughbred horse race track in Lexington, Kentucky. Besides writing books, No Sweat is known for his archaeological work. Twenty-seven years ago, he excavated with The University of Kentucky for 31 straight days at Fort Boonesborough, Kentucky. Among his archaeological achievements he located and repatriated 600 Civil War muskets which were buried in the Yucatan peninsula, Mexico--this being the largest number of excavated Civil War muskets ever discovered. On an outer island in Bahamian chain, named Eleuthera, deep within a secluded tidal cave, he discovered 22 Arawak burials; the Arawaks were those Indians living in the Bahamas at the time of Columbus' discovery of the new world. The discovery of Arawaks was filmed and documented by a Marine Biology school located there on the island in the area of Governor's Harbour. This discovery remains the single largest group of Arawaks ever found. No Sweat is additionally known throughout the world for his racing pigeons, having won national titles and 1,000 first places. In 2016, he has racing pigeons flying in the top USA races as well as in South Africa, a two-million-dollar race, this being the premiere pigeon race in the world. No Sweat can be found on any of his websites such as Heitzman Sions or Kentucky Author No Sweat. He is a regular contributor for America's leading racing pigeon journal, The Racing Pigeon Digest. When he is not writing books or articles about racing pigeons he spends time working on archaeological stories which also appear in national magazines such as American Digger. "I am so fortunate to have married Chesteen," spoke No Sweat. "She comes from a supportive and solid family, something I never truly had. She has always been there for me no matter what. And so has her family. I hate to think of what would have become of me if not for her. She alone knows what I have gone through to be an author. It is not what people would ever believe. Being a serious author involves a tremendous amount of work. Any word you write you are likely to have to write it a thousand times. And often, wind up only to throw it in the trash. You must be quite devoted to the craft and willing to make all manner of sacrifices, including your own health and sanity. Time is what we cherish most. And if you are to be a good author you must give yourself to time. Forget those beautiful days outside. Your book is your boss and owns you. It is a strange investment into a future you can never know. A book lives forever. Anyone may wind up reading it. That is part of the beautiful mystery to being an author." In June 1985, I met Luisa Lang by the pool at the Colonnades Beach Hotel on Singer Island, Florida. When my wife, Chesteen, told her I was attempting to become an author, Luisa invited me to come to her apartment which was located across the street. Luisa gave me a glass of wine and asked me if I liked it, adding, the first time she had ever gotten drunk was on that wine. She asked me to guess who it was who had given her the wine. I had no clue. "Ernest Hemingway," she stated, and then walked away. Of course, I did not believe her. What followed for over two years after that is all in this new book. She soon began asking me if I would consider taking on the job of finishing a novel which her father had been working on for over six years before his sudden heart attack and death. The first few times she asked I laughed at the notion. I was in the middle of Nefarious. My brain was locked in two worlds, the imaginary world I had created involving Ed Hawkins and the poor other one which everyone considered reality. No. Hell no. There was no way I could suddenly stop what I was writing and take on an unfinished WW2 novel. I really didn't know a damn thing about WW2. And I certainly could not pull another writer's skin over top my own. But Luisa was not ordinary. Next to my wife, the smartest woman I have ever known. Eventually, I gave in, promising her I would at least give it a try. Two years later, as I was alone with her in her apartment and reading to her what I had thus far accomplished, she committed suicide. I cannot forget that day. All through the following years I owned a horrible guilt knowing what I had promised. I hated myself for not finishing the task. I knew I could not go to my grave without fulfilling the promise. And as I once again took up the challenge I began to realize, I could not write the novel unless I told the whole story. Then, I really began to lose all sanity. I don't know how it all finally settled out but I found myself dividing the book into six parts; as I worked, I called the parts. "my pizza pie." I have never seen a book composed like this. When my editor, Rudy Thomas, reviewed the work, he said he also saw it as unique, adding, he thought it could be developed into a wonderful "thinking person's coffee table book." I loved the idea. And I knew what Rudy said felt right. The book is divided into two volumes; each volume is 500 pages. And each volume contains almost 500 color photographs. Actually, the text and photographs are almost equally divided. into a large and beautiful book. 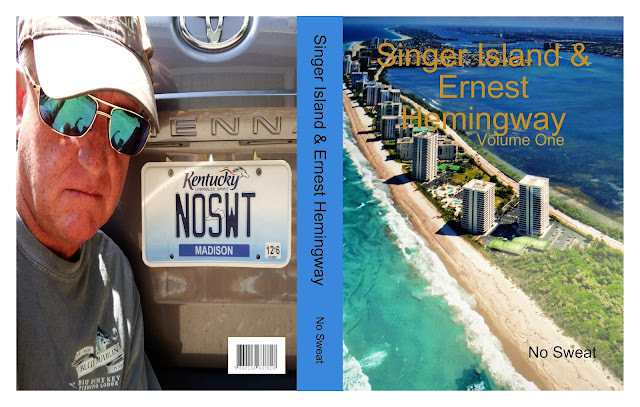 When you begin to read Singer Island & Ernest Hemingway, you will enter into the life of No Sweat, starting from his early years living on Singer Island during the 1950's to present day. I had to write about my own life so my reader would understand how I came to meet Luisa Lang. Gina, you asked, who would enjoy reading your book? My answer, anyone who has ever lived on or visited Singer Island, anyone who ever lived at or stayed in the Colonnades Beach Hotel, anyone interested in John D. MacArthur, the Kennedy family, Francis Ford Coppola, Arlo Guthrie, Ernie Pyle, Bill Maudlin, Charles Heitzman, Jacques Piccard, Will Lang or Ernest Hemingway, anyone interested in American literature, anyone interested in the history of south Florida, anyone who likes to look at pictures, anyone in love with the ocean, anyone who likes to catch lobsters and oddly enough, anyone who loves racing pigeons. I created and lost many friendships during my 31 years working on this project. It was a challenging role for me as an ignorant hillbilly. But I always had Chesteen by my side and many wonderful friends who helped---like you. I am such a fortunate person to have had so much love and kindness bestowed upon him. I could never begin to repay it all back. After 31 years it has all been worth it. I owe everything to a real saint, Rudy Thomas. "My World For a Horse"
Lance and Author "No Sweat"
World Champion Auctioneer, Wayne Wheat! This book will teach you the secrets to auctions. You will learn insider information and techniques for bidding that will help you bid properly and grow rich. You will learn what the auctioneers chant means. You will learn specific actions that you can take to influence the bidding process. You will learn where to find things for pennies on the dollar. Let World Champion Auctioneer, Wayne Wheat, instruct you on how to bid and grow rich. After receiving an honorable discharge as a U.S. Army Captain from the armed services, I went into the field of auctioneering. I have had the honor of conducting auctions in 9 countries over the past 27 years. 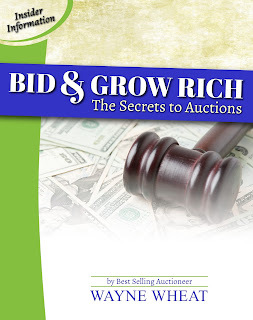 In my new book, Bid and Grow Rich, readers can learn specific bidding strategies and how to implement them in order to save money when buying at auctions. I also share information about the type of auctions and how they differ. I provide strategies for each type of auction as well as resources to help bidders prepare for success. Thank you for downloading my book and I hope to see you at an auction! World Champion Auctioneer, Wayne Wheat. Jimmy S. Clark, Jr., a self­-taught/emerging artist from Louisiana, USA, now living in Northern Virginia. Jimmy has been fascinated with drawing and painting since childhood. 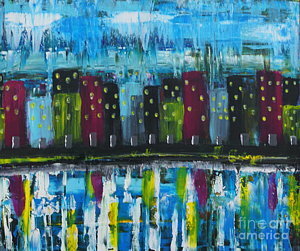 He specializes in landscape and abstract paintings using acrylic as his medium. Member of the Prince William Art Society since 2014. Awarded, "People's Choice Award", PWAS Fall Art Show, 2014. Received Special Merit award, Abstracts 2015 and 2016 Art Exhibition, Light Space & Time Online Art Gallery. Clark also received a Special Recognition Award Certificate from Light Space & Time Online Art Gallery for submission to Landscapes 2016 Art Exhibition for his painting titled: "Snowy Winter". Clark’s source of inspiration comes from memories of nature, water, ideas and life experiences. 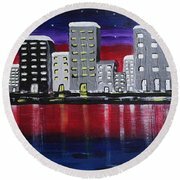 He has been experimenting with abstraction to express more of his Impressionist art abilities. His acrylic works are inspired by the serenity, calmness of nature and life's journey. When he paints, he is reminded of his blessings from God and his beautiful creations. He attempts to capture uniqueness and originality on canvas using colorful brush strokes. 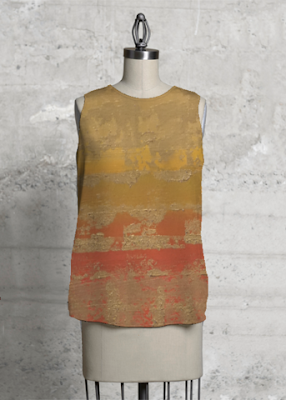 He wants to present every piece with a breath of life to present peace and inspire people. Available in Paperback and Hardcover here! 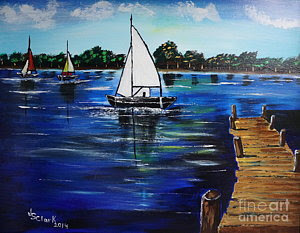 Sailboats and Pier © Jimmy S. Clark, Jr.
Cityscape © Jimmy S. Clark, Jr.
Black Silhouette Tree © Jimmy S. Clark, Jr.
© Jimmy S. Clark, Jr.
SHOW OFF YOUR LOVE FOR HORSES! Vote! Cover Wars:The Blackberry Patch!